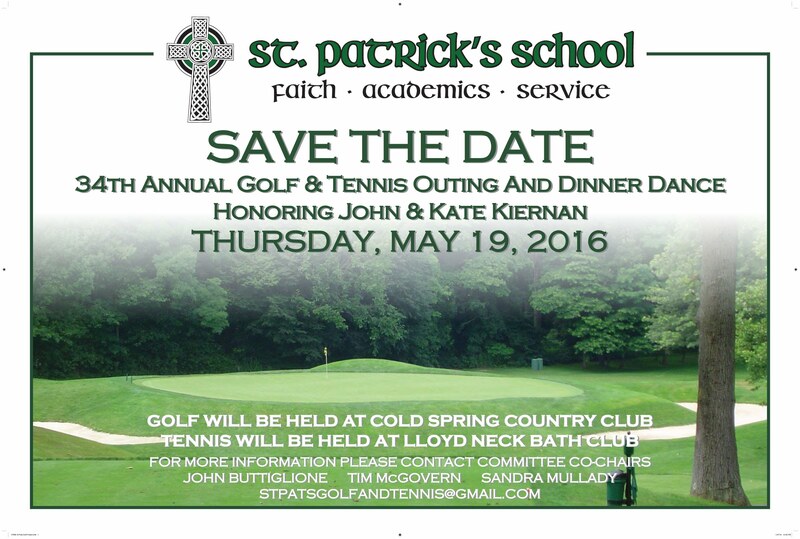 We are excited to announce that John & Kate Kiernan, great members of the St. Patrick's family, are the honorees of this year's Golf & Tennis Outing. We are excited to announce that alumnus Andy Lawrence (1959) and his wife Pam are the honorees of this year's Golf & Tennis Outing. Please come out and support the school and Andy and Pam. Andy was a featured alumni for us last year, you can read more about Andy HERE. 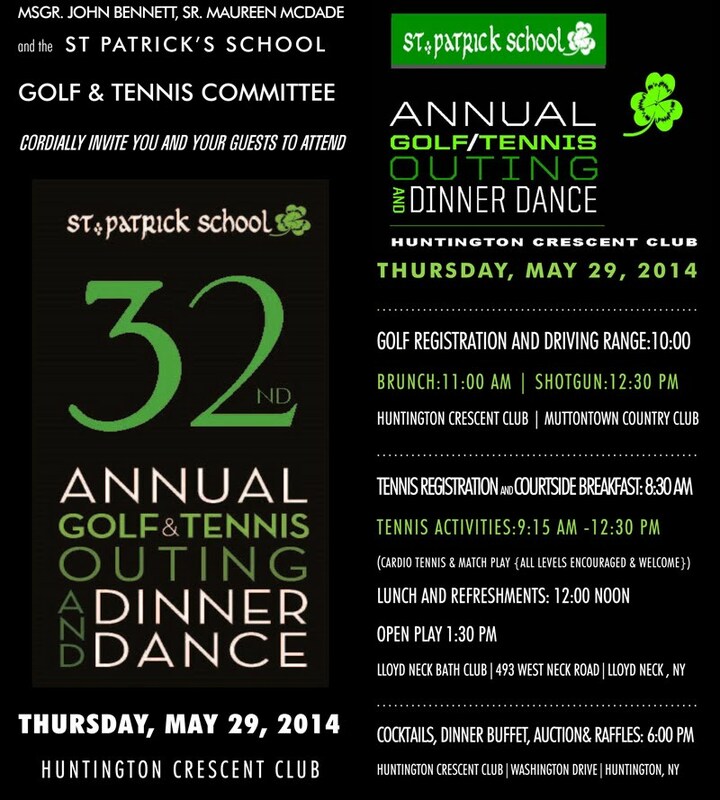 Did you know that the Golf and Tennis Outing is the School's largest fundraiser of the year? This year we hope to raise $100,000. 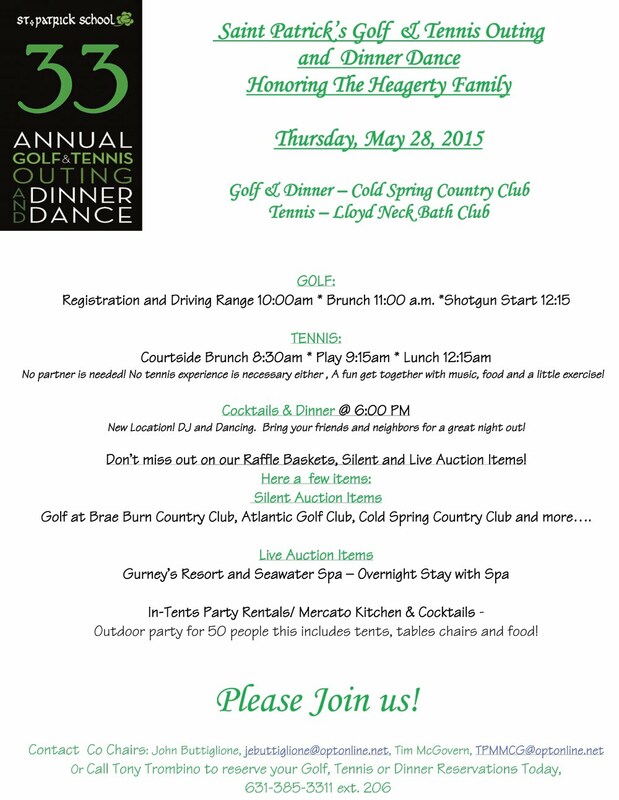 It is always a well attended, fun filled day and evening. It gets better every year, last year, for the first time, we played golf on two courses. You can find the invitation HERE.